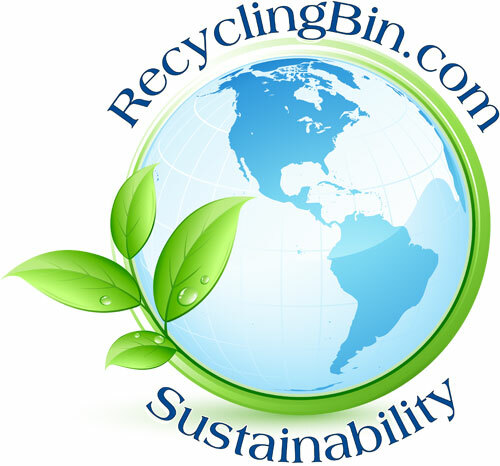 Recyclingbin.com is committed to providing the best designs, graphics and materials in order to save your company or facility money and efficiently recycle and sort waste. Our commercial recycling bins, trash containers and donation bins are all created to make life easier for everyone involved in the collection process. Our lightweight units are easy to handle, pack flat and ship inexpensively directly to your facility. Our high end containers ship assembled and are all created to be used as standalone bins or in sets as multi-sort collectors. 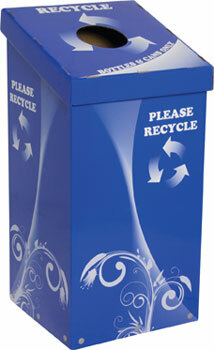 All of our recycling and trash bins are recyclable and can be custom printed with your messaging and/or logo. A vast variety of lid openings and identifiers enable your recycling efforts and trash separation in commercial areas to be clearly understood, hence limiting contamination and reducing landfill. Whether you are collecting clothing, or recycling e- waste, cans, bottles, paper, plastic bags, or compost we have the solution. 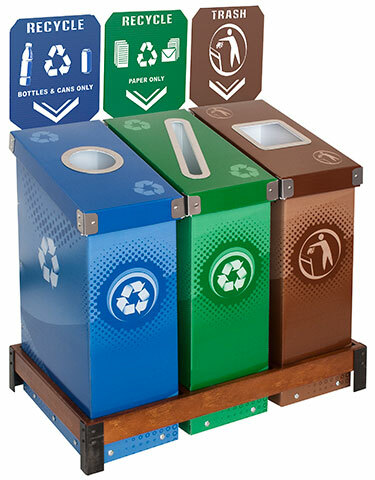 Here you will find temporary/event recycling containers, permanent high end recycling solutions, and Hybrid recycling and trash systems that will answer all of your multi-sort collection requirements. 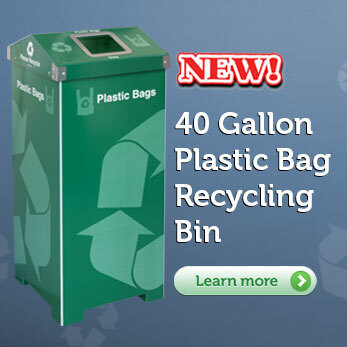 We look forward to providing you with the proper bins for your requirements and appreciate you visiting our site. 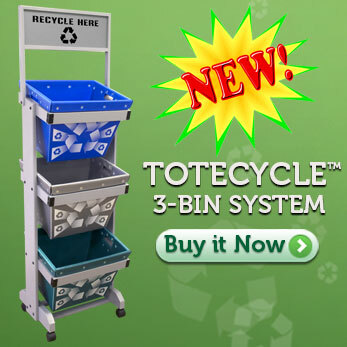 Recycled - All our bins are made with recycled content. 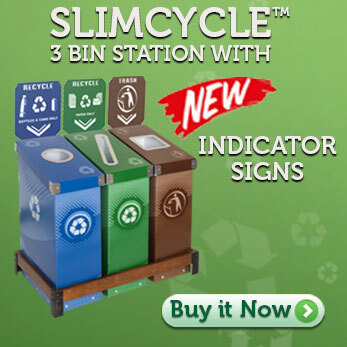 Recyclable- All of our products are 100% recyclable. Eco-Friendly - Packaging is produced from 100% recycled content. Fuel Saver™ - We engineer our products to ship flat to minimize environmental impact. Made in the USA - Designed, engineered and manufactured in the USA. Manufactured and shipped directly from our facilities saving you money and the environment from the added pollution. See why our products are a better choice for your organizations green initiatives. 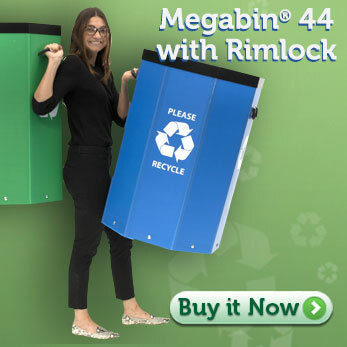 "We are very pleased with the recycling containers provided by RecyclingBin.com. We purchased over 75 sets with base stations and they are very aesthetically pleasing. They are easy to spot, and add a nice organized touch to a production environment..."
"The units themselves are easy to put together and very sturdy. I particularly like the slim design because the bins do not stick and we can place them in spots near copiers where a larger unit would not fit." "We primarily use it for special events like football games and other sporting events. The units are mobile enough where we can transport with ease. 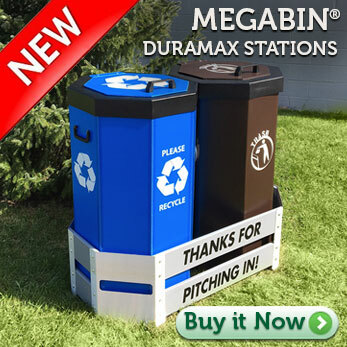 The MegaBin has exceeded my expectations." "The bins have played a large part in our recycling success on campus. The material is very sturdy and durable, and the handles make it easy to transport the bins from one location to another." We are very pleased with the quality of the units...and the outstanding graphics. 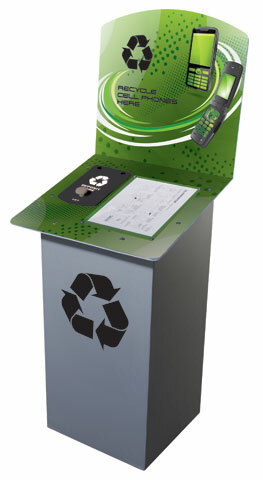 It has helped us sell our GREEN INITIATIVE...recycling program on the Zoo grounds. 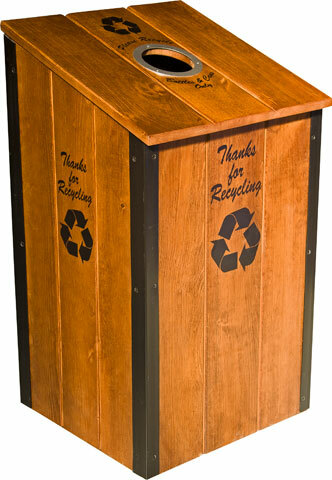 The WedgeCycle Bin looks great and works fantastic. I have placed this unit in my hotel about a year ago, and it is very durable and hasn't shown any signs of wear and tear. The bins have worked out great. We use them for the State Farm territorial food drive and they really grab people's attention. We use the unit with the Wheel Set which allows us to move the bins easily. Smart design! 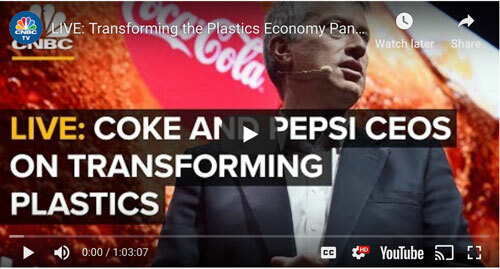 "They've been great, we are ordering more, simplifying and increasing our recycling because it increases the awareness, the beautiful part is that it makes it easy, especially with the deposit openings, you can mix it up."